The company, which suffered a massive drop in market share with the entry of Uber and Ola in 2012-14 period, is now expanding its fleet to take on the heavily funded rivals. As cash incentives to taxi drivers from firms such as Uber and Ola dry up, traditional operators such as Mega Cabs are making a move to grab back some of their lost market share. Mega Cabs, which suffered a massive drop in market share with the entry of Uber and Ola in 2012-14 period in major Indian cities, is now expanding its fleet to take on the heavily funded rivals. “The cab market is getting matured. The predatory and disruptive business model adopted by a few players has levelled out and a more realistic pricing pattern is emerging. 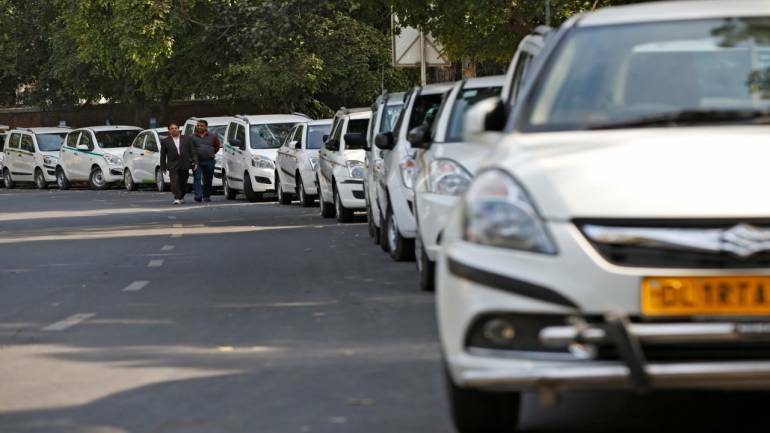 The drivers hoarded to them because of the incentives, which ate up almost one-third of our supply,” Mega Cabs Chairman Kunal Lalani told Moneycontrol. In the last few months, both Ola and Uber have withdrawn huge cash incentives running in thousands of rupees they used to dole out daily to drivers. The incentives had made cab drivers shift from companies such as Meru and Mega Cabs to the online aggregators. Despite suffering a decline in utilisation, Lalani is grateful to Uber and Ola for expanding the market and making cabs a preferred option for a daily commute. “The market has moved from a price sensitive customer to service sensitive customer, and that’s where we wanted to be,” Lalani said. Taking advantage of the expanded market, Mega Cabs has put on road 200 new cars in Bangalore alone, with an additional 300 on the way by year-end. However, Mega Cabs is looking at bypassing the daily commute need of users that Uber and Ola serve, to focus on transit routes between airports and railway stations in major cities. Uber and Ola are offering pooled rides at Rs 49-Rs59 in major cities, which companies such as Meru Cabs and Mega Cabs are unable to match. Next year, Mega Cabs plans to add 500 more cars to its current fleet of 2,500 cars. About 60 percent of the current fleet of Mega Cabs is owned by the company. The company is gradually working towards skewing the ratio towards aggregated cars to become more asset-light. “Owning vehicles is costly because it involves regular maintenance. Then there are collection issues, it requires a large field staff, among others. With low utilization, this expense becomes a cost for us,” Lalani explains. The company is aiming to bring down the share of owned vehicles to 40 percent going forward. Till now, Mega Cabs has been able to rationalize its field workforce by 60 percent by reducing the ratio of cars owned by the company. Mega Cabs is also in talks with several domestic and international manufacturers to launch electric vehicles on the road. Mega Cabs is not the only company to have put e-vehicles on the road. Ola launched 200 such vehicles in Nagpur in May this year. Mega Cabs, which had posted losses of Rs 2 crore on revenues of Rs 75 crore in FY17, is aiming to clock revenues of Rs 100 crore in FY18. “GST was a big bump. All accounting went haywire for at least 3 months. So it remains to be seen if we meet the target. But we will definitely be there in FY19,” Lalani clarified.